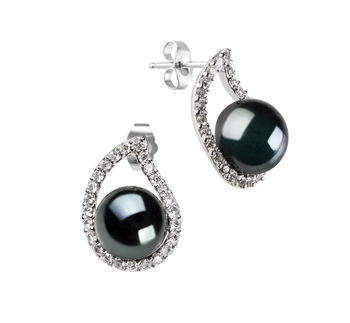 The Sophistication and elegance of a good quality set of earrings is often lost on individuals. 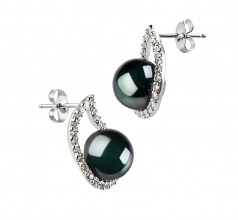 The Black Freshwater pearl Earrings go beyond the elegance of high quality and meet the high quality of the cat walk. Remembering the golden rule that earrings are the one accessory that completes a wardrobe, it is easy to keep in mind that if you have nothing else, make sure you have earrings. 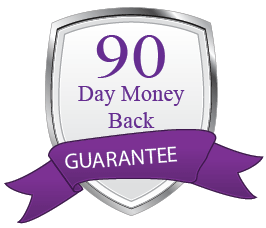 They showcase the natural beauty in the face, neck and upper portion of the body. When the eyes and face are off, there is nothing that one can do to make an outfit look any better than a store bought wardrobe would do. 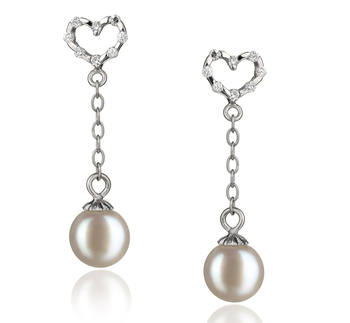 The (AAA) near perfect shape and luster work in perfect unison with the 100% nacre to create the earrings that you deserve. Remembering that not every tear is a sign of fault or shed in a moment of gloom. 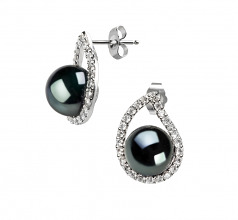 The Black Freshwater Pearl offers a tear drop shaped earring set that is a brilliant display of fashion and art. The .925 Sterling Silver tear drop formed pendant is dripping in cubic zirconias that are intense and sparkling against the Sterling Silver. 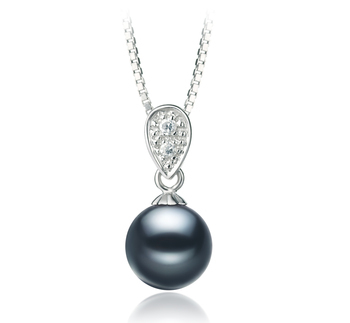 The 9-10mm black pearl is easily noticed and impressive to those within your company. 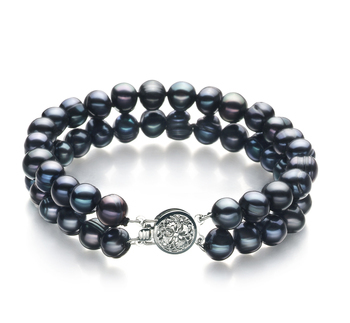 With the nearly perfect (AAA) button shaped pearl and luster, the 100% Nacre takes hold and combines the overwhelming attributes of these grades and makes a dazzling display of perfection. 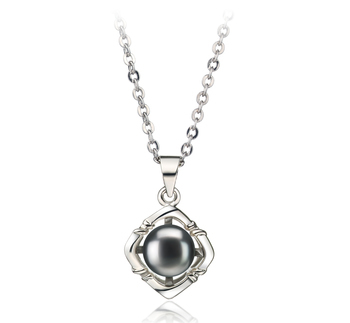 This high quality button shaped Black Pearl sits within the tear drop and holds down the cusp in a fascinating display to be enjoyed over and over with a variety of fashionable trends.